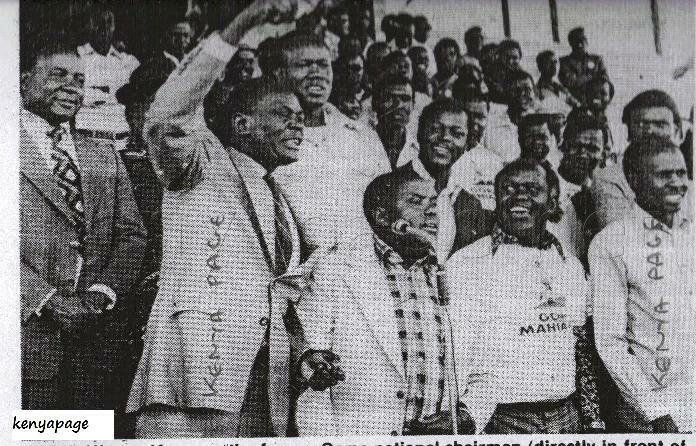 Mbori holding the 1985 CECAFA cup after Kogalo beat Ingwe 2-0 in the final. 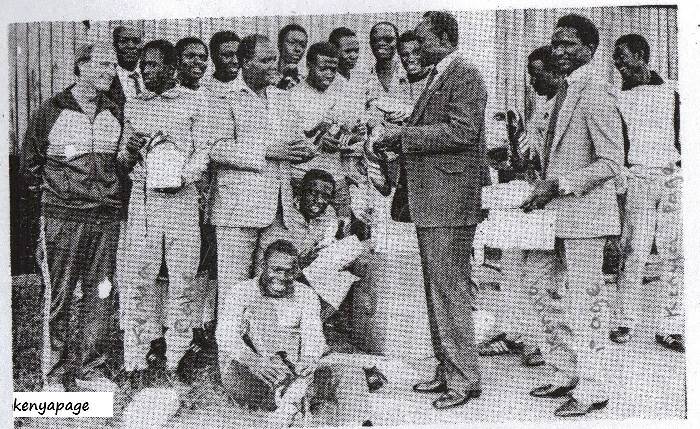 Mbori and his supporters during the 1984 club elections. 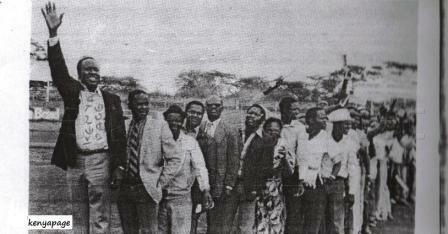 In those days elections were held mlolongo style. 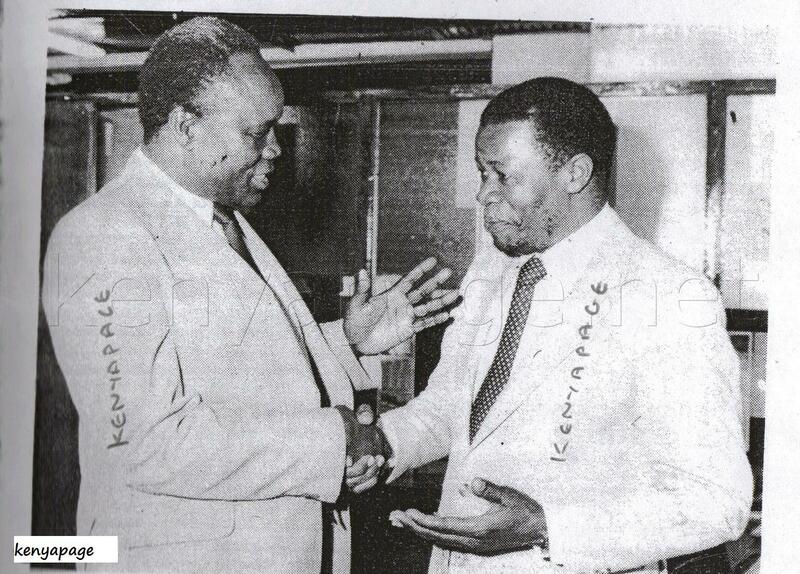 Contestant Luke Misiga who had been a member of the club’s governing council, congratulates Mbori after the election. 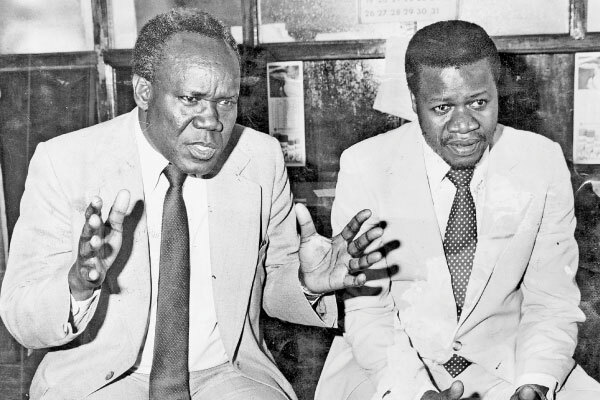 Misiga would later claim the election was rigged to favor Mbori. 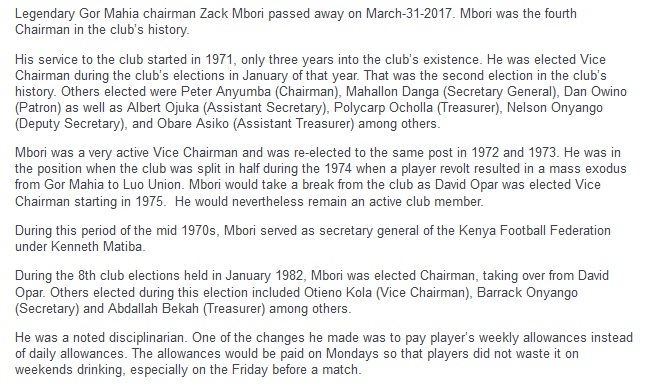 Mbori was the first Chairman I saw at the club and one of the few chairmen who left an impact on the club. He will be rememebered. 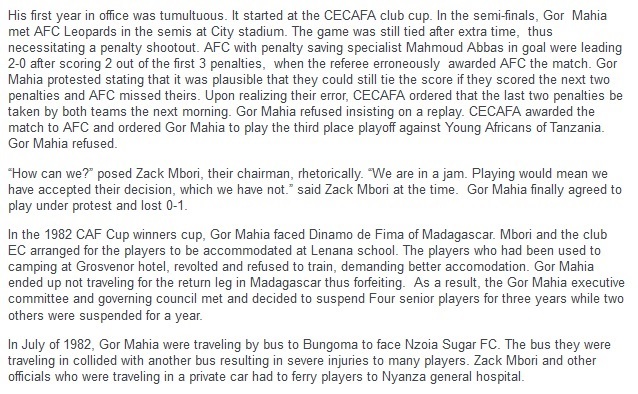 When will Ambrose Rachier hold aloft the CECAFA club (or better still the CAF) trophy? 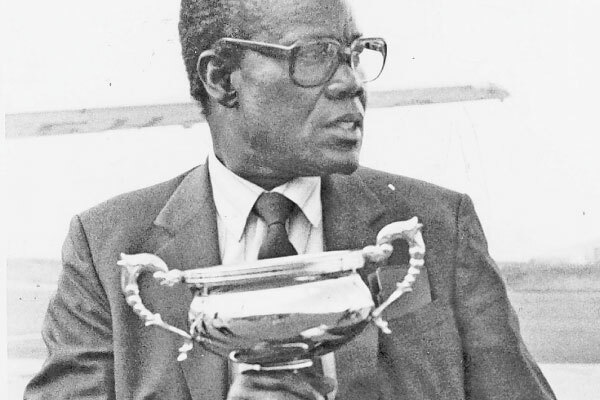 TROPHIES are the main hallmark of a club & hence the chairman-LOCALLY, REGIONALLY & CONTINENTALLY. 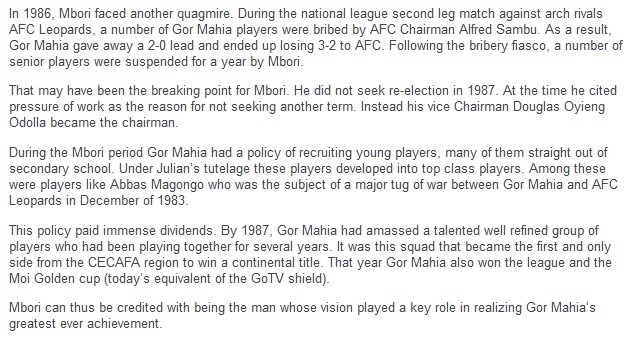 For me,and most bloggers, its always about GMFC’s success never anything personal that’s why i have asked WHEN not IF.Let AR put his long experience to good use. 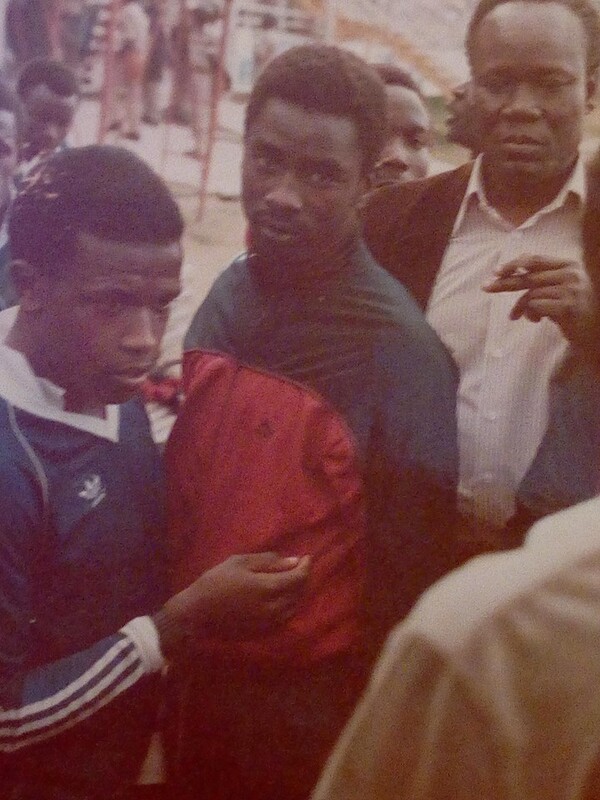 RIP JATELO ZACK MBORI. 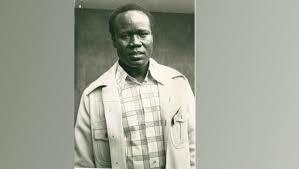 Good question Oduor12 . 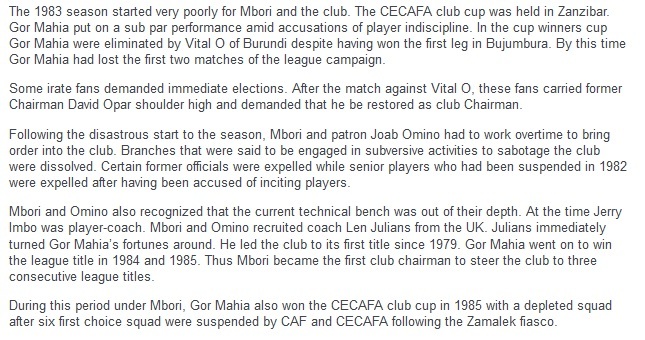 I would be happy if Kogalo can even reach the group stage of Africa champions league. 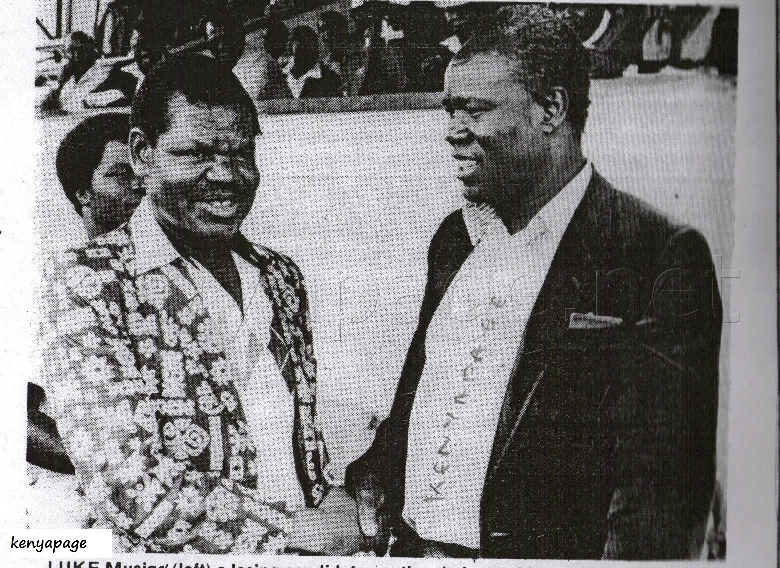 The only Chairman to have resigned and left the club at its highest order- 1988 after clinching Mandela Cup , a continental trophy. Kudos, Jaduong. You led by example that the likes of AR should follow.